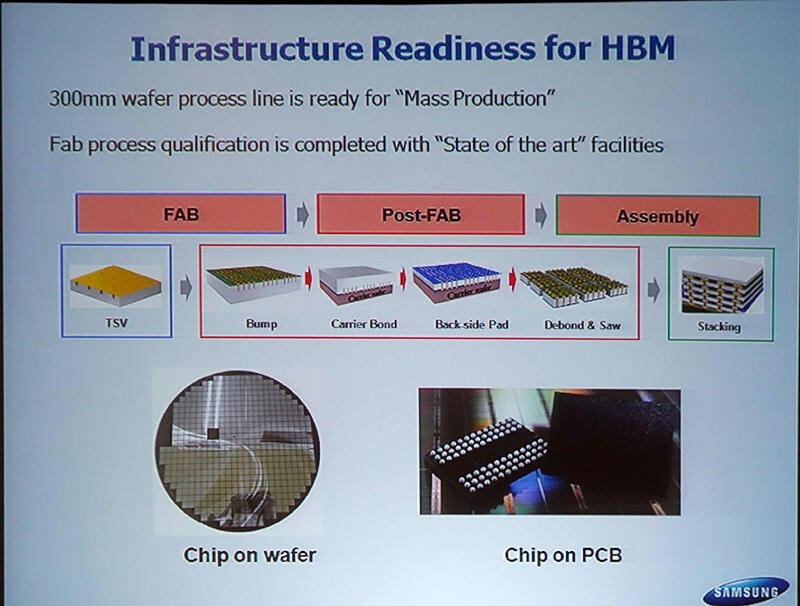 Samsung announcing at IDF 2015 that it will begin mass production of HBM2 early next year. As off now HBM1 is limited to just 4GB and 512GB/sec, but HBM2 will be capable of driving far past 8GB and around 1TB/sec memory bandwidth. Professional cards are expect to have up to 48GB of HBM2, with consumer cards most likely to have around 8-12GB of HBM2. HBM2 is going to change the GPU market, especially when we begin seeing professional video cards with 48GB of HBM2 with up to 1.5TB/sec of memory bandwidth. Today’s fastest GeForce cards feature only 334GB/sec of memory bandwidth, while the HBM1-powered Fury X from AMD packing 512GB/sec bandwidth. It will be interesting to what NVIDIA come up with next year.